Now this Mario Gadda with soloist quality, a warm and large, fullbodied tone! 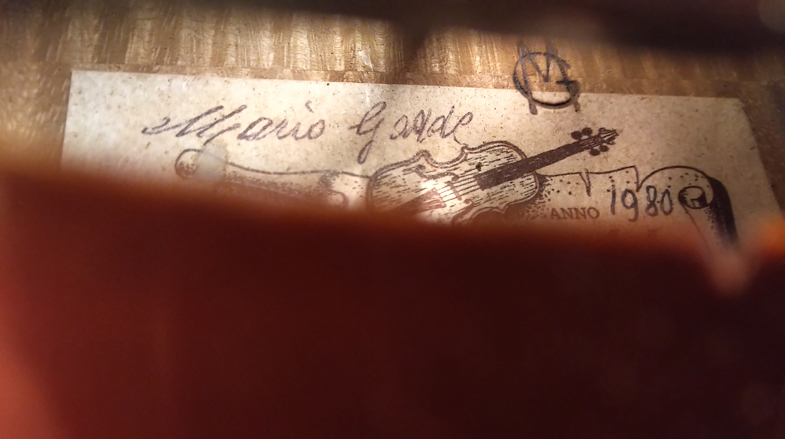 This modern Mario Gadda violin was made in 1980 and bears Mario Gaddas label and brandstamps „MG “. This violin modeled aftwer Stefano Scarampella is more than the bare recourse to an important name; it is expression of a continuous tradition. The legendary Stefano Scarampella belongs to the direct artistic ancestors of Mario Gadda whose father and teacher Gaetano Gadda was Stefano Scarampellas only student and is considered as its legitimate follower. Thus the resemblance to Stefano Scarampellas works became also a constitutive element in the style of Mario Gadda. The special character of this violin is expressed by the large and very distinctive scroll cut in characteristic form. With its brilliant sound, rich in overtones, this violin shows playing qualities worthy of its ancestors. The original maker's certificate by Mario Gadda is included. Browse our special online selections of old German, French and Italian violins for sale, the "Bows" section features our attractive selection of various German and French violin bows.